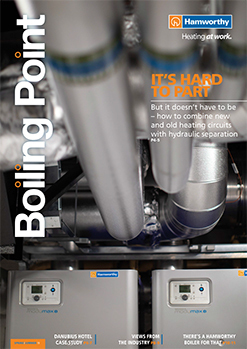 Boiling Point magazine is packed full of industry news, interviews, feature articles, Hamworthy product updates and lots more. Published twice a year by Hamworthy Heating, the Spring/Summer 2019 edition is out now. Read Boiling Point online, download it or request a printed copy.